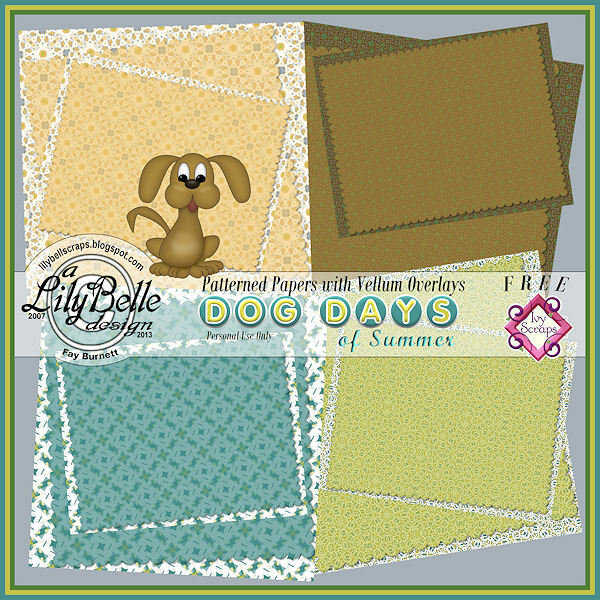 I have a new kit in Ivy's MiniPixel boutique called DOG DAYS OF SUMMER. I haven't had time to create a freebie for my blog followers as I'm involved in the preparation for a Family Reunion this month. However, don't give up hope. 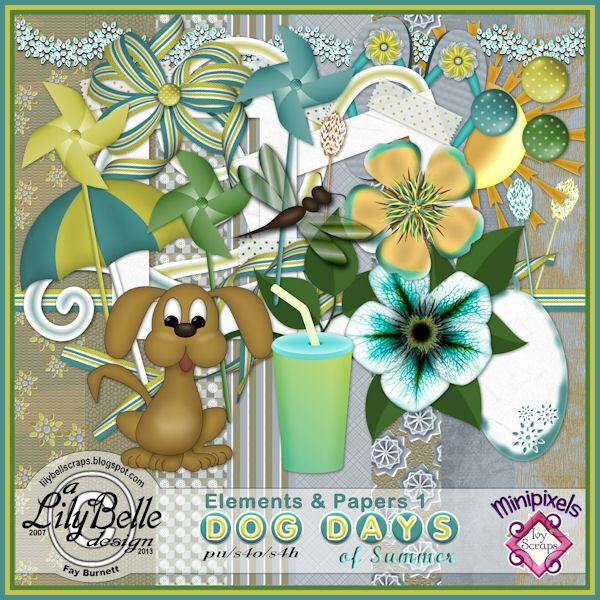 If you like this little kit, drop back around the last couple of weeks in August and I may have a quickpage or clusters for you made from the elements and papers from this kit. 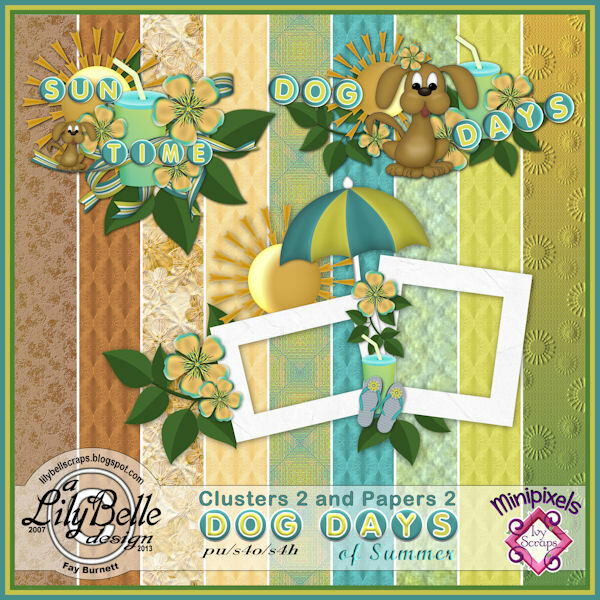 There is a freebie in Ivy's August 1st newsletter. If you are a subscriber, here's what you can download. I hope these last months of summer (winter for some, I guess) are full of happiness and the joys of life. Maybe I'll see you later on this month?? ?